Come Over. Let’s Listen To Some Daft Punk. In a perfect world, a record will stand on its own. Nothing else will matter but the track listing, the art, the personnel and the sounds of it spinning. Records should be their own entity and that should be that. But as you and I know, the world isn’t perfect and heavy is the cultural narrative. The way people talk about music today (we talk about it everywhere: in 140 characters, in long-form rants, ranked reviews, et cetera) we hold our artists to an incredibly high standard. And before we talk about the Returning Champions – Daft Punk – and their new Random Access Memories we should remind ourselves how lucky we are to live in a place where people are brave enough to give us their most favorite possessions. They release their precious ideas out into the world for whatever reasons they might have (they think they can do it better than everyone else, they have a message, they just want to be free, it’s the only thing they know how to do, it’s the only thing they want to do…) and we are lucky because we get to be a part of it. I’ve said my fair share of unfair and/or mean things about artists that I don’t like, but I still get the fact that they are doing something that I cannot. (I also say this because there seems to be a fair share of dissatisfaction already surrounding this album and a lot of people are disappointed.) That being said, Daft Punk is Daft Punk because no one else can do what they do. 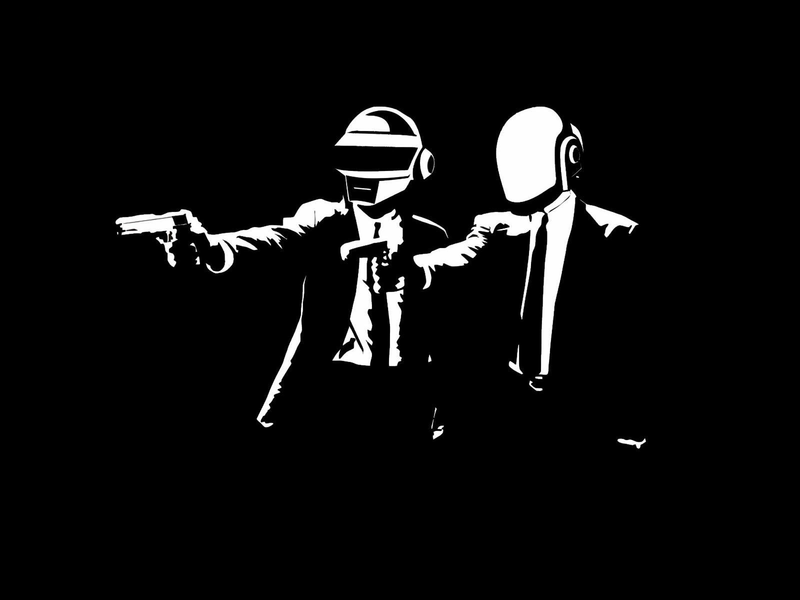 Thomas Bangalter and Guy-Manuel de Homem-Christo are two unique human beings who have been making music for 20 years. Sure, people made dance music before and after them, but they’re just better at it. It’s because their music from 10+ years ago still holds up, because everyone knows their songs, they’re instantly recognizable, because Kayne sampled them…whatever you decide. Either way, I know you know them. Daft Punk has self control. Their lifestyles seem under-modulated and they are private men. (A lot of their press is about just that.) Bangalter and de Homem-Christo are hard to find not just because they wear space helmets and full garb constantly, but because they know people don’t need a constant flow of conversation. (“Constantly talking isn’t necessarily communicating.”) They have control by way of discretion. They live concealed lives, which says a lot about the modern celebrity. And they know that. 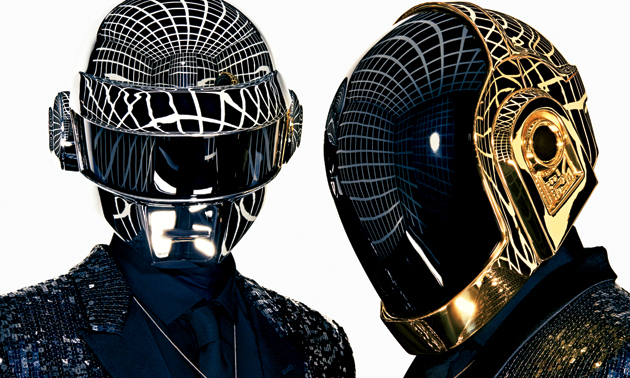 Daft Punk’s privacy allows them to avoid their own hype machine. They have the pleasure very few artists have: a Daft Punk release is an event. (Although, when the album leaked five days before it’s release, the Internet felt aflutter, like everyone was doing the same exact thing at the same exact time.) There was nothing but secrecy surrounding the record, but now we are getting hit in the in the face with it, like a big bass drop. Everyone is talking about Daft Punk. The story is manicured like their music. Daft Punk is exciting. Their music is something to talk about. Internal memory of your computer is supposed to be “temporary” but we all know that isn’t true. (Who knows if it’s actually Random.) Most of us have external hard drives for a reason (and a back-up for said external hard drive.) 0’s and 1’s hold our data until the end of time, or if you prefer, until we get sick of it and move on to the next thing. But it never actually goes away. Our attention span is rapidly decreasing. It is no wonder why so many popular (and successful) bands recluse into seclusion to record music (see: Bon Iver, Passion Pit, Grizzly Bear, Dirty Projectors, Vampire Weekend) so they can get the world off their minds and do whatever they want. It’s good that Random Access Memories doesn’t sound like old Daft Punk. It sounds like the jazz records my dad plays, sometimes it sounds like an underwater soundtrack with whales off in the distance (“Touch” featuring Paul Williams) and sometimes it sounds like a car wash (“Motherboard.”) Sometimes you can’t control yourself and you dance. And other times you are surprised how weird it is, like the regal opening of “Beyond.” But then you get into it because it’s only an hour and fourteen minutes and you’ve spent more time that that watching bad TV or crappy movies. The Daft Punk robot voices are all over RAM. The voices slow it down and are used to drop the bass on the hit of the year, “Get Lucky.” It needs to be said that “Get Lucky” might be the best songs of the decade. It’s totally unforgettable even though it’s track eight and comes out after “Touch” (which gets stranger by the second with a spoken word open and close.) Daft Punk wrote, recorded and released “Get Lucky” as the lead single for a reason. Because it delivers. It’s unlike the rest of the record and it’s better than the rest of the record. I think they know that. In the end, you need to decide what this record is. Whether or not you like it. I just want to say, you should still listen to it despite the cultural narrative – whatever your narrative might be. Because in the end, it’s just a record. And it’s totally Random. I have been exploring for a bit for any high quality articles or weblog posts in this sort of space . Exploring in Yahoo I finally stumbled upon this site. Reading this information So i’m glad to express that I have a very excellent uncanny feeling I found out just what I needed. I so much certainly will make certain to don?t omit this website and provides it a glance on a constant basis. My brother suggested I may like this website. He used to be entirely right. This submit truly made my day. You cann’t imagine just how so much time I had spent for this info! Thank you! Simply wish to say your article is as surprising. The clarity on your submit is simply excellent and i could suppose you are an expert in this subject. Fine with your permission allow me to seize your feed to stay updated with drawing close post. Thank you one million and please carry on the gratifying work. Wow! This might be one particular from the most helpful blogs We’ve ever arrive across on this topic. Essentially Fantastic. I am also an expert in this topic so I can understand your effort. Thank you a lot for providing individuals with an exceptionally wonderful opportunity to read from here. It is usually so good plus packed with amusement for me personally and my office fellow workers to search your website really three times in one week to study the newest items you have got. And indeed, I’m actually happy concerning the extraordinary tips and hints you serve. Some 2 tips in this posting are easily the most impressive we have had.